Before Hunua Village turn left into White Road, then left into Falls Road and follow this road to Hunua Falls. 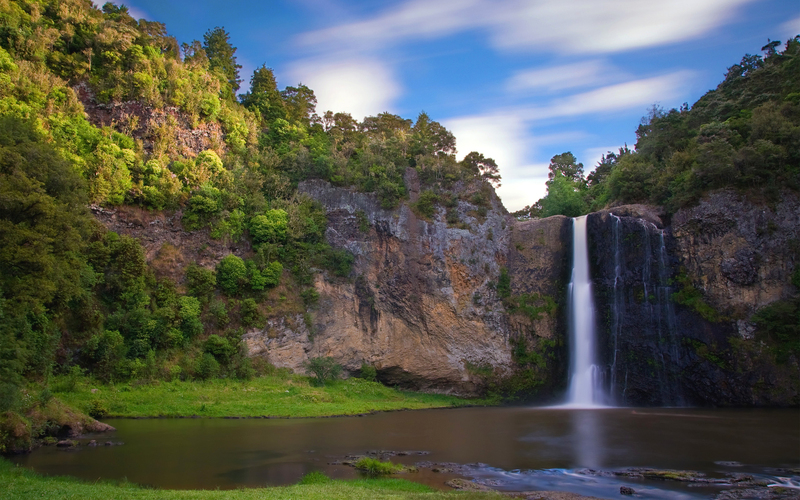 There is a choice of Hunua Falls Loop Walk (20 mins return) or for the more adventurous Cossey/Massey loop (3 hours +) which will take you up to Cosseys Reservoir and return via Cosseys Creek (good swimming holes). Good signage.